Overall Rank: 62 out of 100 points. The Coffee Shop Millionaire (CSM) is a program meant to teach the basics of internet marketing using a number of training modules and other lessons. Like the name states “millionaire” it sets people up for unreal expectations prior to joining…sitting in a coffee shop and watching the pay checks roll in. It was created by Anthony Trister, who is a very good salesmen but that doesn’t always equate to a “very good product”. Often times quite the contrary. Read my review below for full details. Site is fairly upfront about real earning potential and amount of work involved. There are a number of “unforeseen” or additional expenses that must be paid each month. Despite the name of the site, earning potential is typically not at the “millionaire” level even for the most successful members. After you pay, there are a series of “pay me more” annoying upsells! Who is Coffee Shop Millionaire Intended For? Because of the training modules, Coffee Shop Millionaire is being marketed to everyone at every level. Each module can be reviewed as often as needed so that the lesson is better understood. From there the real work begins so people who are looking for a totally hands off program will be sorely disappointed as there is going to be hard work and time investment (as there is any business)..
Also, there is no active community within the back office of CSM, so if you are looking for support and people to network with, then you are going to likely be frustrated. Throughout the training there is an assumption that you have some Internet marketing knowledge, so if you are a completely newbie, this product is not geared for you. which allows you to ask specific questions. The initial claim from this product is that you are going to get a “cheat sheet” that outlines a system where you can make $21K in just a couple of weeks without a product of your own and without a list. To anyone that has created success online, we know that this is not possible when starting out. There is an entire section of the training dedicated to “Cash Machines” which covers topics such as email marketing, video marketing, article submission and the local economy. Each of these are valid marketing techniques, however they are so vague within the training that too much is “left out” to actually be able to implement a successful campaign. Does Anthony Offer ANY Support? In addition to the standard customer support options (phone/email) for current or prospective members, the Coffee Shop Millionaire program claims to feature a robust and active community that is supportive and informative. However, I have seen even some of the most elementary questions go unanswered within the community and you will be luck if you ever receive a response within their email support (chances are slim to none). The CSM Facebook page is riddled with unanswered complaints, which to me shows a sign of very limited and untimely support to some. The standard pricing is listed as $37 a month for membership to the Coffee Shop Millionaire training and support (which as we have concluded now is very limited). Right away you are asked to upgrade to another product called the “Six Figure Success Club” for another $297. Many “gurus” in the industry commonly use this gotcha marketing tactic. Coffee Shop Millionaire uses their low ticket price on the front end to get people into paying for more things on the back end. Your $37 per month investment quickly becomes $334 before you are even in the membership area. But that may not be your last investment. This price does not include the cost of website creation, domain acquisition or hosting, however which are all things you are going to need to make use of this program. You also are told to buy hosting right away which is going to cost you $100+ (depending on the term of your hosting). Now we are up to $434 before we can even get going. If you are not a fan of the “slimy” upsell tactics, then CSM is definitely not going to be for you as they institute many upsells immediately after joining. When you review this product online, you are likely to come across MANY positive reviews. These are partners of Coffee Shop Millionaire that likely have never seen the product, but are part of a circle of gurus that promote each others products to make money of people like yourself (not to help people like you succeed). Nearly every keyword search online will lead you directly to the exact same, lengthy video which you were forced to either sit through or walk away without the information that you are seeking. If you do manage to get through this info without nodding off, you need to get ready for only ‘half” of the program at the initial price you pay followed by an abundance of upsells. The training that you will get is not bad at all, but in many cases it does not go into enough detail for you to be able to actually create revenue from what is taught. And one of the most important aspects, support & community, are lacking from Coffee Shop Millionaire. My final opinion is that this is a very OK program with ruthless marketing techniques and have been complaints little product support. VERDICT: Too many upsells, dated training and limited support. 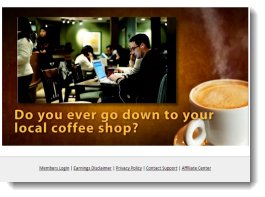 Do you have a person review that you would like to add about the Coffee Shop Millionaire program? If so, I would love to hear your personal experience of the education you received. Please leave your review below, the more thorough you can be, the better. 🙂 Thanks! I don’t have enough to pay $297 more, so I can’t join. Please refund my $37. Can’t afford to lose it. Sorry I can’t afford to proceed! You will have to contact the company itself if you are looking for a refund Sandra. This is the problem these days with many products, they get you in at a low price point only to upsell you at a much higher cost (and often times MANY upsells) if you want the actual information that you need. Hi Kyle, I have been reading everything online after receiving email from csm. I was very thankful to find your review on it..reading your company’s page WA, looks good.and free start up perfect..few questions? You say use your hobby ect. I don’t understand how you are to make money and were the product is coming from? I am a newbi at this completely. I appreciate your straight forward ness. Lord knows we all have had enough smoke blown at us. I am not afraid of hard work, understand it take a time to build it, very interested, just unsure on were product or what ever is decided to do on web site is coming from?? Would appreciate a little insight on this. Thank you so much. Yeah, a totally fair question here and I can understand the confusion. Let’s use an example here for clarity sake. Say you wanted to create a business around your hobby/passion which is helping people learn how to “juice”. Within this niche, there are a lot of products/services that people use, that they buy, and that they are looking with help with. If you can help someone (regardless of the niche), you can create a very successful business online. Some examples are blenders/juicers, recipe books, dieting books/guides, ingredients, etc. These ALL have affiliate programs that allow people like you and I to promote them. An example of this would be a Vitamix Blender which is on the Amazon Affiliate network and that pays 6-10% commission. I have personally sold many of these through their affiliate program and the average sales works out to be around $35. I don’t have to do anything other than send the traffic to Amazon’s website from mine, they handle all the shipping, support, billing, etc. I just get a cut in the sale. That is how the affiliate marketing model works, but once you have traffic in a given niche (which you will be learning all about at WA), there are many ways in which you can generate revenue through your website. Affiliate marketing is just one of this. It is a very exciting space to be in these days and the opportunity is the same (and present) for all of us! Do you know anything about gpsinfopack.com? Appears to be another one of your run of the mill schemes. If they are asking and requesting more money of you after your initial payment, then absolutely stay away Tom. The best thing to do in this case is to contact Clickbank.com with your receipt and they should be able to help you out Rebecca. Others have also complained about not being able to get through to their support, so you may want to go through the company that directly accepted your payment (Clickbank). Hello kyle my question is quite simple…how do I get a refund on this product. I kinda jumped ahead of myself and ordered the this CSM product before reviewing it and after what I read I regret it. Hey Jonathan, you will have to contact clickbank to inquire about any refunds about your purchase with Coffee Shop Millionaire. It does have a very high refund rate and they are part of the clickbank affiliate network, which handles all payments and refunds. You don’t know how much I appreciate you comments and review of CSM. You won’t believe this but I was told that I was selected to get a special team of experts to assist me in hitting my income goals through the development of websites, eBay Power Seller tools and affiliate advertising. That sounded good and I was pumped! HOWEVER, they asked me for an investment of $8,000 to participate in this special program. That’s when I went online to do my due diligence. Based on your comments and responses to the questions from others. I am NOT going to go ahead with this project! $8,000, REALLY? This could have been the worst mistake of my life! That is ridiculous and it is shameful that so many scams like this are still allowed to operate. This is the most typical approach of many of these low end products. They will get you with a low ticket price product (basically to get your information and know that you actually “buy” stuff) and then they will try to hit you with a high ticket coaching program. Stay away Terry! If you ever do need a hand creating a real business online, I would be more than happy to help you out. Getting “good” money will take work Adele, so if you are looking for something that is QUICK, you will never find it. I am just being completely real with you. If you are willing to work hard and take action, you will have access to absolutely EVERYTHING you need within Wealthy Affiliate to create and grow a business online..and you will have my full personal support there as well. I would suggest you check it out. Your a good, honest man Kyle. I’m a currently a new member of WA and can’t wait to start lesson 4 so I can get my websites and get things rolling! I found waystoavoidscamsonline.com thru one of your training modules and just being here is making me excited. I’m like,”FINALLY! someone who keeps it real and someone I can TRUST!” Thank you so much. This is what it is all about and I think I finally understand what it truly means to be an affiliate. TO HELP OTHERS! Glad you are enjoying yourself at Wealthy Affiliate Lukus. It only gets more exciting when you see your hard work pay off (which it will). Get in touch with me inside the community if you ever need anything. I am completely new to online money making. Right now I am in the survey stage lol which I’m sure is the lowest form! But I came across this site and it’s wonderful to know that honesty still exists. Thank you Kyle. Surveys are definitely at the bottom rung of the ladder in terms of TRUE opportunity online, but you have to start somewhere in your journey to finding something legit Tara. If you ever need help with creating a business online, I would be more than happy to help you get started (and personally work with you). All I can say is that i’m a part of Wealthy Affiliate and I have learned so much in 3 weeks than ever! Very legitimate company with out the annoying upsells. So glad i’m a part of a supportive and motivating group. Kyle is man! Glad you are enjoying WA Blas, it has been awesome connecting with you there! Do you have a mentorship program? If there is someone with an idea but no clue how to implement it or get in touch with the contacts that they would require, do you provide guidance? There is no mentorship within Coffee Shop Millionaire, but if you want to get help from people that know what they are talking about and help in a selfless sort of way, then you will definitely love Wealthy Affiliate Michelle. Join as a Starter member initially so you can get your taste of what is offered there and you will be able to reach out and get help from me there as well. Hi Kyle. I just read your article about this online millionaire BS. I was about to take a chance on it this monday but i dont think i will do that anymore. Any suggestions of real and lucrative online business or online jobs? Real ones where there is great success and people actually get paid great money with no degree of course. I am a big fan of bootstrapping your business and I recommend that you follow my Getting Started plan (completely free to get rolling). You are going to be glad you saved your money, the initial investment was just going to be the start of the upsell process you were going to be thrown into. I just sign up with CSM, your comments means a lot for me tomorrow I will call the customer service to cancel also I will call my credit card to stop those payments it was 37$ 197$ and 297$ , they took all my money but thank you very much again for your reviews. Probably a good idea. That is what I despise about these programs, they sell you on $37 but to get everything you need, you end up investing well over $500. This is completely unethical and this money can be much better spent Saleh. I do suggest you check out my Getting Started page, I show you how to get rolling in the right direction for no cost. Thanks a lot for the review Kyle. I understand that there are a lot of people trying to rob you in a certain way. I was curious about the MCS and I am glad I double check to make sure if it was a scam or not. As I was expecting it is not that good. Thanks again for your comment. But on the other side I am wondering as well if you are not like these guys at MCS. So I can I be sure that you are very honest. Don’t be mad but I can’t afford to lose the little money that I still have right now. Brett, head over to Wealthy Affiliate. I am co-founder of this program and the Start up costs for a Starter membership are ZERO. 🙂 If you ever have any questions or need a hand with anything, I will be there to personally support you. There are so many people that have been caught by this but it is good to see such a well researched review which shows what it really is a massive money maker for the creators and nothing for the private individual trying hard to make it work online. SCAM written all over it. Kyle, are you with CSM or WA. Are they one and the same. The writeup at WA sounded good but I read a somewhat poor review of CSM. This created some question in my thinking. Thanks for taking the time to read this. I am definitely not involved with CSM, I am co-founder of Wealthy Affiliate Jay. If you are having issues contacting the support at CSM, you can contact Clickbank (within your receipt that you got from them). This program is known for their “lack of support” and you are very unlikely to get a response. Worst case scenario, you contact your credit card company but I would try to deal with clickbank first whom handles refunds/transactions/billing for this product. I wish you all the best and if you ever need a hand with your marketing campaigns, I would love to help you out within WA (you can join via the free Starter membership). Great review, I am surprised you gave them 62/100! I may have to lower it as I have actually been getting backlash as the result of the MANY people that have been ripped off by Coffee Shop Millionaire. Thanks for stopping by Beate. I checked the website and they tweaked the presentation to make more people fall into it.Now they are saying they are going give to the few people otherwise some guy is gonna ruin the system and also they are claiming to give some free advice upfront.I think this is a new tactic. I am new to this marketing . How can someone earn money using this product?? 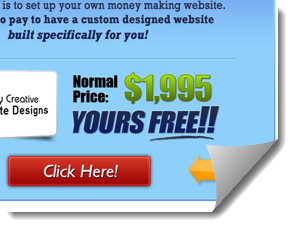 after getting website how it leads us to money?? please explain. i tried many such products except yours, all just take money, i never understood what to do next.. so please tell me how your product works after getting website..
Why do you try our free Starter membership. No obligations and we will get you up and running with training, websites, tools, and support. The unfortunate part about the Internet is that there are so many vultures out there and self proclaimed gurus out there that are in the business of scheming and scamming. They are only concerned about filling their own coffers and when it comes to their actual products/service, it is pure bogus. Coffee Shop Millionaire Scam. STAY AWAY. Save your money. All the Coffee SHop Millionaire does is sell you upsells from high pressure salesman. Then they sell your information to more money making scams. You will get about 10 calls a day with more rip off artists trying to pick your pockets and rob your bank account. Better off going to your local library and reading anything by Dan Kennedy. This is common with many programs like this that take your personal information and then sell it to mentoring companies in attempt to “see how much money you have”. After they do this, they will deliver mentoring (from someone reading from a book) at up to $10,000 and once you are done with the program, you not only have a weak, rudimentary education, you are out all your money. Thanks for you feedback Jason and I agree, you are better off taking advantage of companies that offer a real education than to seek out “shiny objects” that claim you the world overnight. question is simple. Do I already need a product? What exactly is WA and how do I make money with your training? You will learn how to create your own niche sites (they are included with your Starter membership) and learn the process of earning money online. There are actually many ways to earn money online once you have a website, so the first focus in our training is getting you up and running with a site of your own. 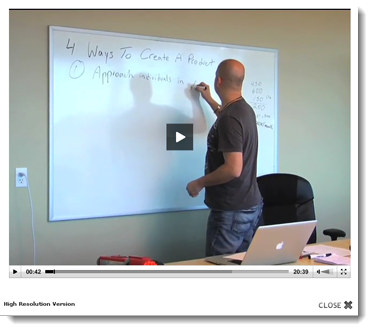 By lesson 4 in the introduction training you will have your own niche selected and your own website. Instead of me explaining any further, I suggest you check out Wealthy Affiliate for yourself. Start off as a Starter member, it is $0 to join and there really are NO catches. I received multiple emails promoting this product back in the day. I left it alone due to seeing all of the cons listed above. Besides that I was already a member at Wealthy Affiliate and had all the training offered and then some at my fingertips so I would have been paying something for nothing. Good thing you save your money. This definitely went around the block in terms of reciprocal promotions, but you don’t see many promotions of CSM these days because the product is not updated, it is not a “new” product, and it lacks the support (and service) that would make anyone want to promote it. Glad you dodged this one! Very nice review of the CSM, I have to agree with you Anthony Trister is a good sales person but in the end up actually provides a watered down excuse of a product. This definitely isn’t a for newbies the lack of support is a big issue and I honestly believe he’s setting people up to fail! Can’t be totally against the product though I mean after all it’s thanks to Anthony Trister that I even heard of Affiliate Marketing. On my site I spoke about how I found his link posted under a youtube video I was watching and was compelled by his sales pitch. But If I hadn’t clicked through I would never have found Wealthy Affiliate. His sales video is a perfect example of what to look out for. Different “Gurus” have the same kind of videos posted all over the internet promoting their own products. 99% of the time it’s a scam. Up sale after up sale. If you want to know what to look out for have a look at Kyle’s ‘Avoiding Scams‘ page. It’s pretty much everything you should be looking out for. I agree Chris, many of the Youtube videos and reviews simply cannot be trusted out there. Also, one thing that is an absolutely crime in my opinion is all of the gurus getting together and promoting each others products “for the love of money” versus helping their actual customers. They don’t even know what is in the products they are promoting most of the time, rather they have made an agreement to reciprocate on promoting others products. Just because a bad driver made you aware of driving doesn’t mean you owe them a thing. Same goes for affiliate marketing, if someone like Anthony Trister introduces you to affiliate marketing because of a low quality product, then it definitely does not mean that you should feel grateful for that product lol. As always, appreciate your feedback and insights into the Coffee Shop Millionaire product. Cheers! Great analogy, the bad driver and all. Your review suggests there is less than what I thought there might be, not surprising. No problem Mike, pretty typical run of the mill over-hyped, under-delivery with this product. Lots of folks have contacted me personally behind the scenes that have been very unhappy about this product. Very good overview of CSM ad I am so pleased that you’ve highlighted the very many downfalls of such a dubious program. I’m so fed up with seeing obvious hype built to attract the unknowing and experienced. I’m going to join you in warning my readers about CSM too – Cheers for the heads up. Thanks for helping keep the Internet a safe place for folks Tony. I know that you provide loads of insight and product reviews on your sites (I just had a look) and I think that is wonderful. You are right, products like CSM are promoted by the “guru circles” which can fool people into thinking that the product is actually quality, when the real reason that it is being promoted is because of JV circles. Thanks for your feedback man and keep up the great work on your end as well! I’ve been keeping an eye on your website and I love the way you write your reviews. I’ve been telling some people I’ve been helping through Facebook & other places lately to also bookmark your website and learn from it. I’m sure you already know very well too setup a .xml sitemap through Google & Bing so people will be be able to get a hold of your great reviews as quickly through the search engines. As for my thoughts about your review, it covered all points pretty well. I’m sure many people are thinking, well, did you buy the product and test it out for yourself? In some ways, I think that’s funny because, I know I wouldn’t want to buy every Internet Marketing product out there especially when it’s known that about 34 out of every 35 products out there are either scams or misguide the buyer into spending absurds amounts of money for what they’re paying for. Wealthy Affiliate is the only community I care to join because I already know the type of staff and community it has. Yes, I may spend some of my money on other programs like Aweber, Jaaxy, Google Adwords, Godaddy, or even a (cheap) basic Internet Marketing guide by somebody I know. But given that Wealthy Affiliate has a built in hosting and a handy built in keyword tool, that’s the 1st place I spend my money on. Great review over The Coffee Millionaire program. Thanks for sharing the word about Wealthy Affiliate Seth and I appreciate your feedback about this particular review. I honestly think that the more people that get to “see” WA, the more people that will be able to realize the opportunity online…and be able to leverage the Starter membership there to get rolling for completely free. And yes, 34 out of 35 products out there are scams and that is the unfortunate nature of the industry. If people like you and I can help people avoid these, I think we have done our job.